← How Will Driverless Cars Affect Florida Driving? One of the best parts of living in Florida is that you’re always close to the coast. Whether you fancy yourself a young Don Johnson in a speedboat, or you want to live a leisurely life cruising on sailboats in your spare time, Florida has impressive views, beautiful reefs, amazing beaches, and sunrises best seen from the seas. Boat ownership is known for its heavy maintenance; however, there is one area where you won’t have to sweat the details so much. 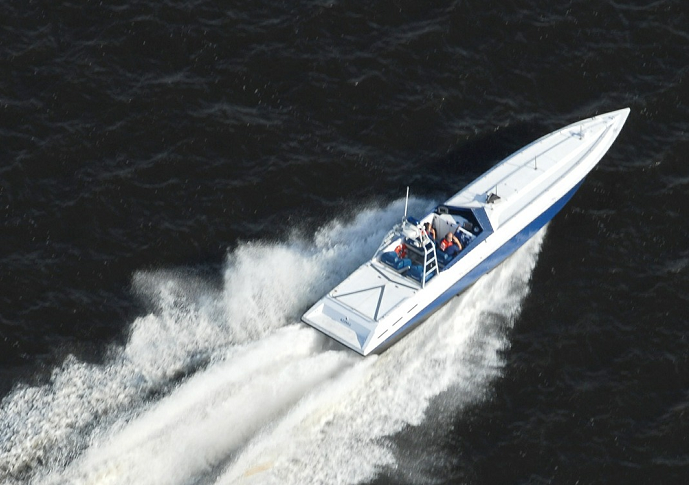 Boat registration in Pompano Beach, Florida and surrounding areas doesn’t need to take up your time and energy. In the State of Florida, we’re lucky to have ways to skip on the DMV experience. If you’ve just moved here or are just learning about the laws of Florida vehicle ownership, the biggest benefit you’re going to find is that you do not have to waste your free time at the DMV. A private company like Auto Tags of Florida can take care of this lengthy process for you in as little as a day without you leaving the comfort of your home or office. What Do I Need to Get My Boat Registered? There two important pieces of paperwork to make the bureaucratic process a simple one. You need to have your title and registration for your boat. Also, depending on your age, you’ll need a Boater Education Card. If you were born after January 1, 1988, the state required that you get a Boater Education Card. You can only operate a boat with less than 10 horsepower if you meet this criteria but do not have the card. The National Association of State Boating Law Administrators (NASBLA) provides a course to get the card, which is mandatory for all those who meet these criteria. You can view the list at The Florida Wildlife and Conservation Commission website. You’ll need a photo ID to take this course. If you have a valid boat safety education card from another state or a valid boater license issued by the U.S. Coast Guard or the Canadian Government, you are exempt from the requirement. Also, it’s still legal to operate a boat on a private lake if you have not taken the course. If you’re a non-residents without a safety ID from your home state, you can apply for a temporary certificate from the Florida Fish and Wildlife Conservation Commission approved vendors. Once you meet these requirements, boat registration is a simple process. However, there are cases where you do not need to register your boat! If your boat meets this criteria, it’s not necessary to register it in the State of Florida. - Non-motor powered boats that are less than 16 feet in length. - Non-motor powered kayaks, canoes, rowing sculls or racing shells. - Boats owned by the U.S. government. - Lifeboats used only with that specific purpose. - Boats from a non-resident state that have been used in Florida for 90 consecutive days or less. - A proof of ownership document. This includes bills of sale, a builder's contract, a manufacturer's Certificate of Origin or a federal marine document. - The boat's title (if applicable). - Payment of boat registration fees. Registrations for boats can be made for a period of one or two years. It's very important to keep this registration up to date, as it might save you some penalty fees in the future. Renewals for boat registrations can vary depending on the type of ownership the vessel is under. If it's a privately owned boat, the renewal must be done during the birth month of the owner. If the boat is owned by a private corporation or dealer, its registration period is from June 1 to June 30. The Florida Department of Highway Safety and Motor Vehicles handles renewals for 1 or 2 years when submitting the necessary information and paying the renewal fees. - For registrations, you will need a completed application for Vessel Duplicate Registration, Replacement Decal and Change of Classification (Form HSMV 87015) and the necessary fees. - For titles, you must submit a completed application for Duplicate or Lost in Transit/Reassignment for a Motor Vehicle, Mobile Home or Vessel Title Certificate (Form HSMV 82101) and the necessary fees. Now that you have the information you need, get your boating papers ready and get on the water! To get it done easily and quickly, contact Auto Tags of Florida at (954)848-4808.